Juvenile plants can be uprooted with a hand digging tool. But if the stem breaks off from the root with the root remaining in the ground the plant will regrow. 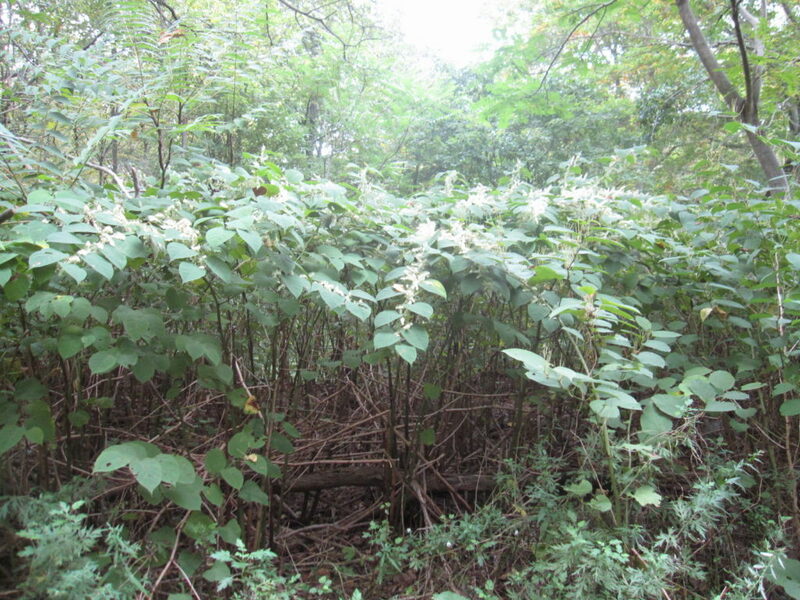 To remove mature Japanese knotweed, use a Pulaski tool to dig out the entire plant, including roots and rhizomes. Since any portion of the root system not removed will potentially re-sprout, be prepared to remove it repeatedly during the growing season until the plant has exhausted its reserves. It is also likely that in the process of disturbing the soil new seeds will germinate new plants. 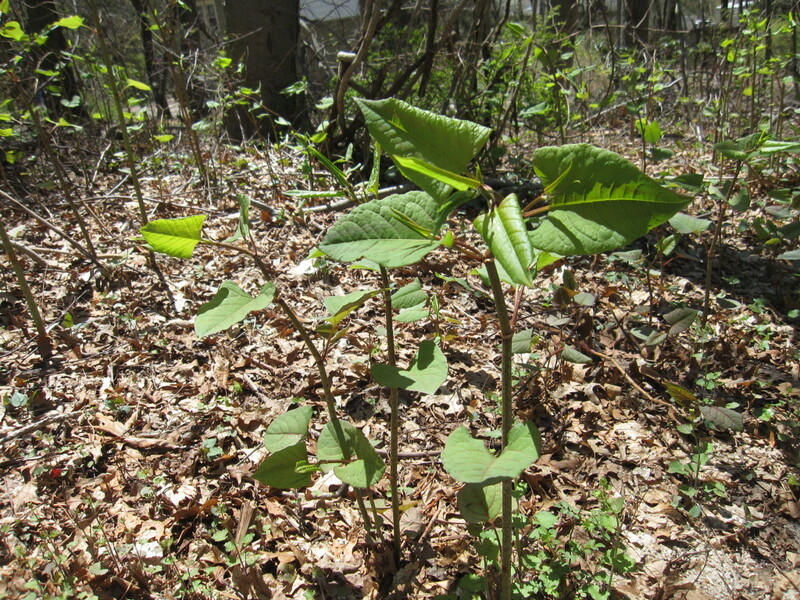 An alternate method for removing Japanese knotweed is to wait until August at or just before blooming when the root is at its weakest and the stem doesn’t crush under pressure. Then uproot each plant with a weed wrench (alternatives are available online). All plant parts and seeds should be bagged, solarized and disposed of to prevent them from reestablishing. 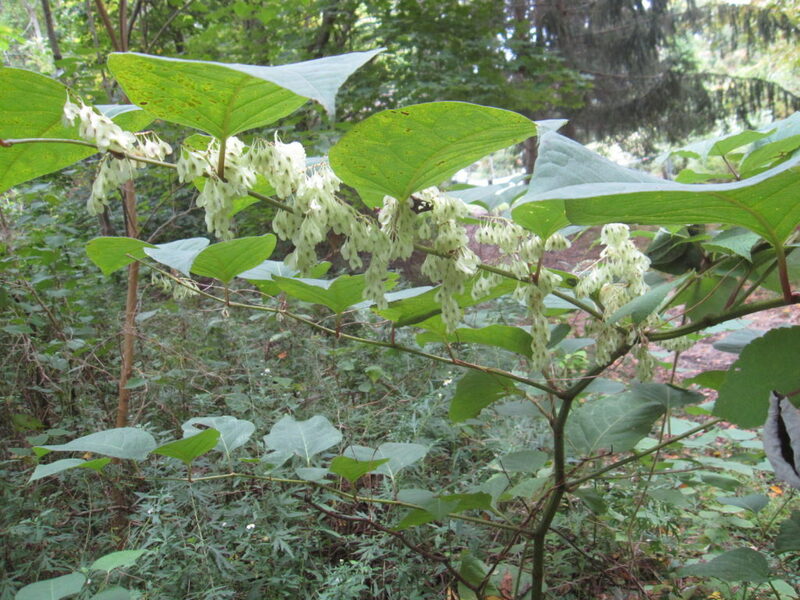 Check out Invasive Herbs and Disposal Options posts for additional information.